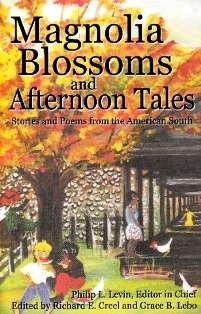 After having read a number of very long novels recently, your reviewer was surprised anew by the enjoyment of reading a collection of short stories, especially one whose guidelines were “fictional stories with Southern themes, Southern locations, and Southern characters.” The panel who chose these stories, did, however, include a few nonfiction stories and five poems. Several of these stories could have happened anywhere, being universal in theme and in their entertainment value. Several, however, could have happened no place else. For instance in one story, “We Love Yankees” by Cecilia Dominic, the South was definitely vital to the tale, which I will not give away. A number of stories did have surprise endings; some were satirical, and in some the South was just top dressing and laid on rather thickly, a minor distraction more than anything of unique importance. Still, we are all proud of our ways, and the distractions were mostly pleasant in that we always like to look in our Southern mirror, knowing we are a unique and rich part of the culture of our country. There were twenty-six selections, very varied in style, scope, and in the imaginative sweep of their presentations. The most successful were those stories that came to a resolution that seemed “just right.” Several authors stopped short of that goal or of even a surprise ending. The surprise was in fact that there was no ending. They just stopped. Other stories were vignettes or a slice of life which were very much like prose poems in that they were not intended to be short stories per se. Though a number were disappointingly amateurish, most were not, and, indeed, were fine stories worthy of publication anywhere. The variety was endless, some humorous, some sad, some true to life, some Southern clichés, some touching and real. 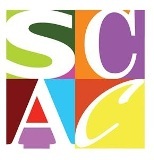 Sue Scalf is a retired teacher of English and creative writing.